Credit: NASA, ESA, M. West (ESO, Chile), and CXC / Penn. State / G. Garmire, et al. Explanation: NGC 1132 is one smooth galaxy -- but how did it form? 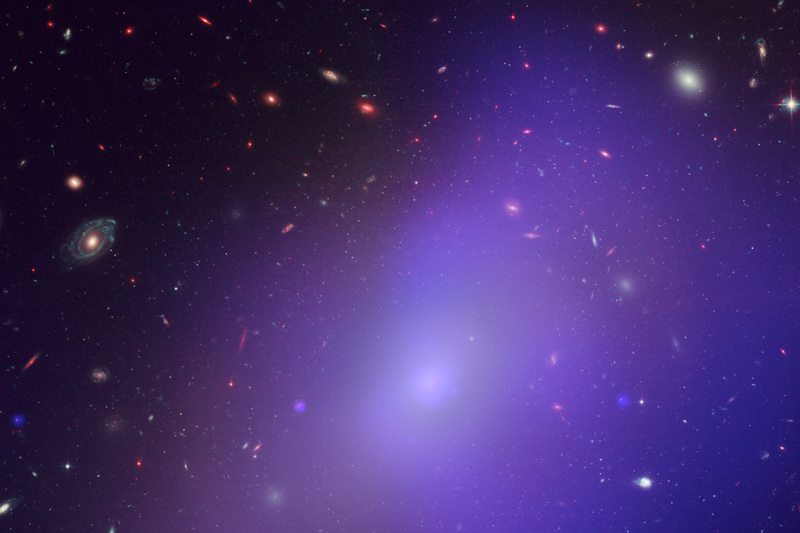 As an elliptical galaxy, NGC 1132 has little dust and gas, and few stars have formed in it recently. Although many elliptical galaxies are in clusters of galaxies, NGC 1132 appears as a large, isolated galaxy toward the constellation of the River (Eridanus). To probe the history of this intriguing trillion-star ball, astronomers imaged NGC 1132 in both visible light with the Hubble Space Telescope and X-ray light with the Chandra X-ray Observatory. In this composite false-color image, visible light is white, while the X-ray light is blue and indicates the unusual presence of very hot gas. 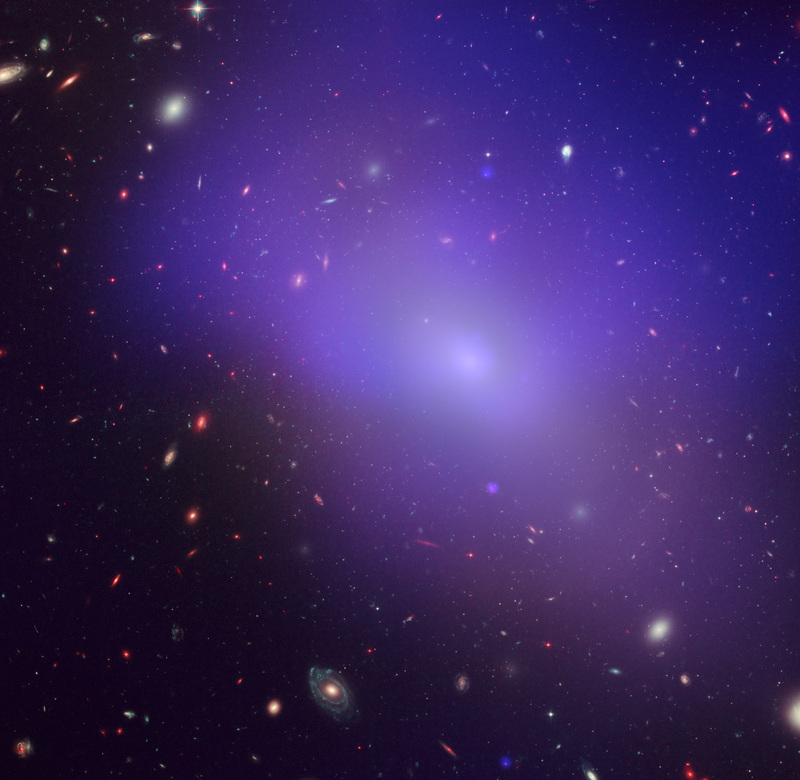 The X-ray light also likely traces out the location of dark matter. One progenitor hypothesis is that NGC 1132 is the result of a series of galaxy mergers in what once was a small group of galaxies. NGC 1132 is over 300 million light years away, so the light we see from it today left before dinosaurs roamed the Earth. Many fascinating background galaxies can be seen far in the distance.